You may remember Craig from OHIO and his cat Tommy who recently died. 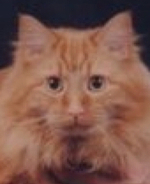 He writes: "...I realize that it took me quite a long time to find a good memorial picture of Tommy the Cat. He is pictured here with my mom in 2004 playing his favorite game: Jump Real High and Catch the Bracelet. Craig." 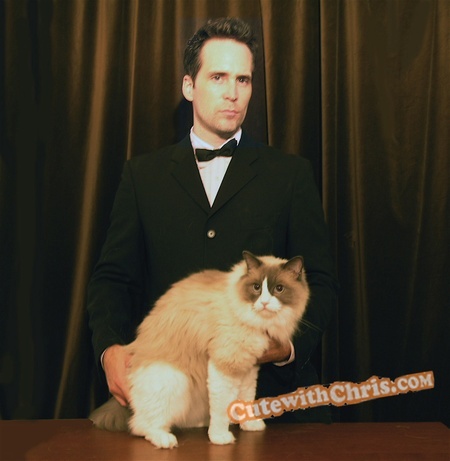 Todd is a viewer who sent this video of CWC fave Craig, and his cat Tommy. 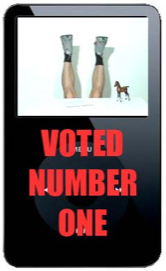 He made it with a widget on JibJab. You may have missed: Craig and Tommy. You can see the Inner-Child in episodes 115, 116, 118, and episode 141. You may have missed: Cat portraits with Craig, and Chris. 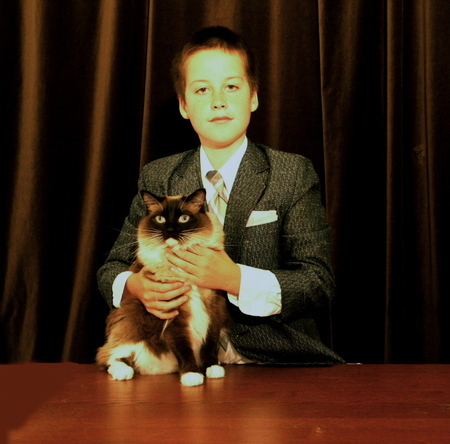 Perhaps you remember Craig, my viewer who posed with his cat Tommy for his prom picture. Karla in TEXAS sent me this article about another teen who posed with a cat for her senior prom. Umm, I don't think we will be running that PHOTO. Perhaps you missed: The CRAIG INDEX. Perhaps you missed: Robot Cat. The second Craig video has arrived. Gabriel is a viewer in ARIZONA. He also happens to be a Visual Effects Compositor who works in the motion picture industry. He took a crack at remixing Courtney's recent Craig video. Thanks, Gabe. This thing is unstoppable! You may have missed: The Original. Subscribe to these videos on YouTube. You didn't think it was over did you? The Craig fan art is pouring in. 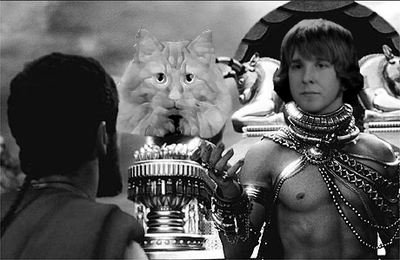 Craig as Xerxes from the film 300. Thanks Michelle. 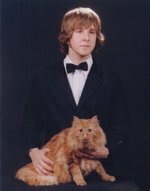 When Craig sent me this prom picture featuring his cat Tommy, I don't think he ever imagined he would become an internet sensation. My viewers have posted his picture on websites all over the world. Yesterday, 17 year-old Courtney from LONDON, sent me this video she made. Congratulations, Craig. All your dreams are alive. You might enjoy Prom Cats. Craig's very own Youtube channel. Show 137 "They So Don't Get You"
Cute with Chris episode 137. "They So Don't Get You." Cast your vote by clicking HERE. Anyone have any idea how we can turn Craig into the internet sensation he deserves to be? Let's blow this betch up, people.